← Royal Palms Village Wine and Tapas a Gluten-Free Beer and Tapas Paradise! I know I don’t do recipes that often, but 4th of July is here and it is time for outdoor bbq’s and family gatherings. You can substitute anything you want in this, but I will tell you, the parsley, quinoa and the dressing really make this dish. After I made this my boyfriend claimed this is the best thing I have ever made. That is quite a statement, because I cook a lot for him. I also use the cumin dressing all the time, it is easy to make from ingredients I have on hand pretty much all the time at home. This dish has been adapted from a recipe I got from Pinterest from the blog Eating-for-England.com. 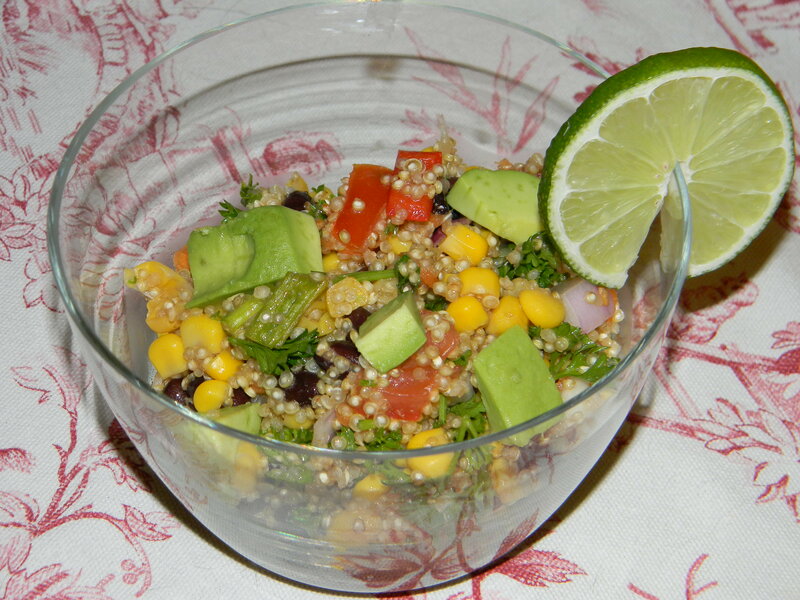 Quinoa is gluten-free and nutrient dense. It is a perfect substitute for pasta or rice. However, it doesn’t have too much flavor so you need to enhance it with yummy ingredients like below. 1. Warm the olive oil in a medium saucepan over medium heat. Once it’s hot add the rinsed quinoa and toast for about 2-3 minutes until it starts smelling nutty and lovely. Add water, stir once, cover, and simmer with a lid on for 20 minutes. 2. While the quinoa is cooking, prepare all other ingredients. 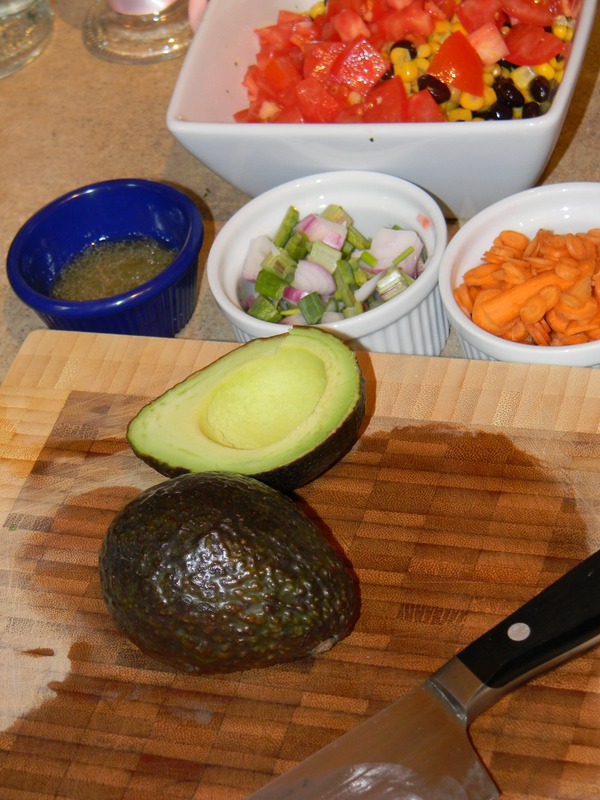 Prepare the dressing by combining the lime juice, oil, cumin, and salt. Whisk it aggressively. Adjust seasoning as necessary. 3. When the quinoa has finished cooking, remove it from heat and fluff with a fork. Add black beans and toss to warm them through. 4. Let the quinoa cool for about five minutes and then add all the remaining ingredients, including the dressing, and mix. Adjust seasoning if necessary. Doesn’t this look yummy? It is super delicious and nutritious. Serve with tortilla chips and a refreshing, cold beer. Do you have any favorite 4th of July dishes?